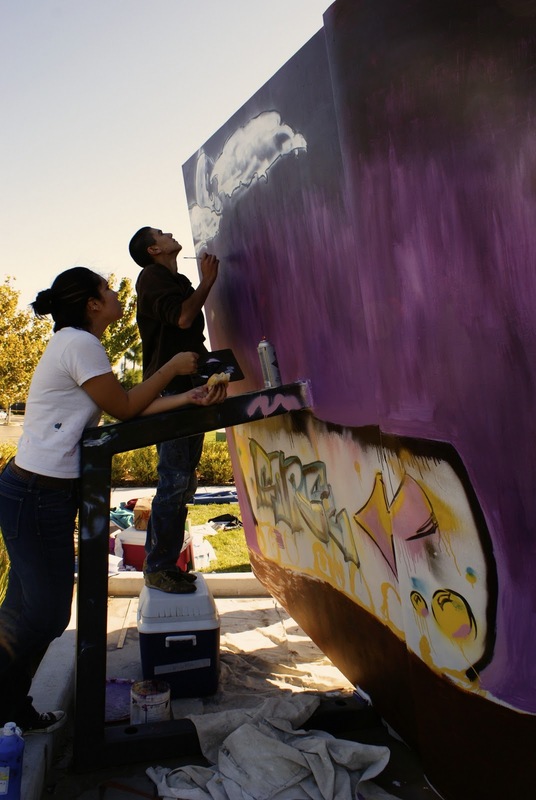 Natomas Charter School Painting II students last week gave the “Authors of Our Own Destiny” sculpture in Natomas a new look. 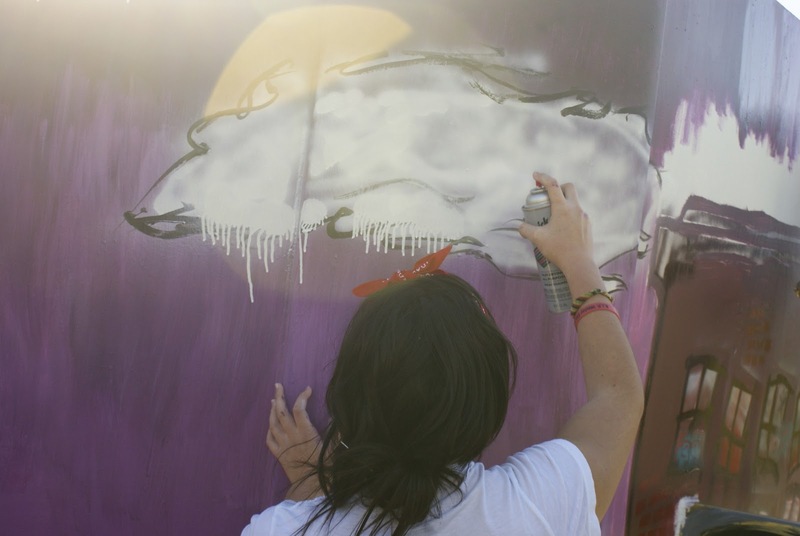 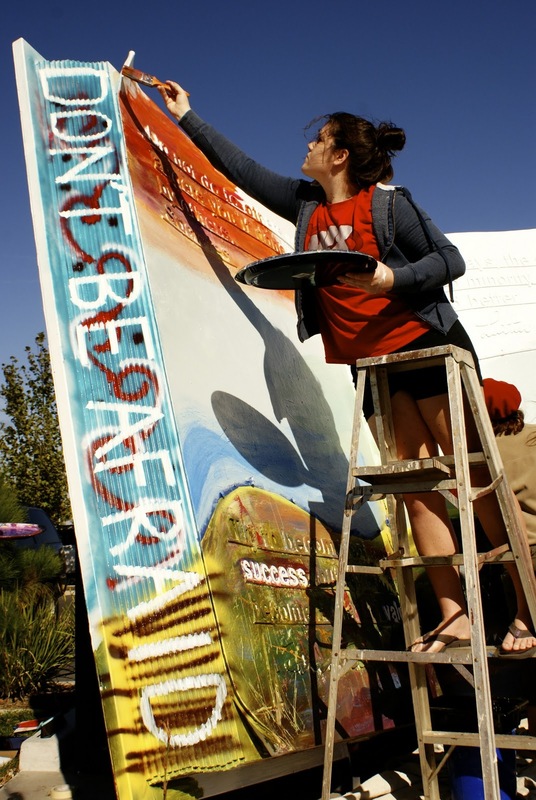 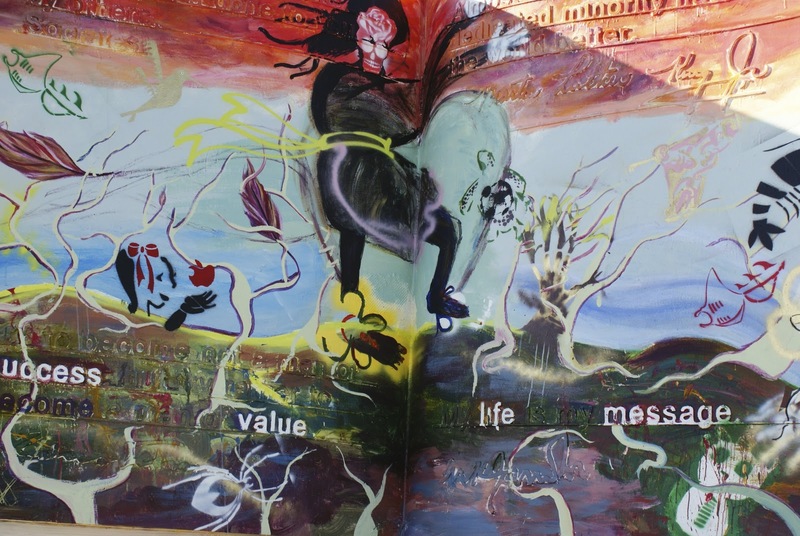 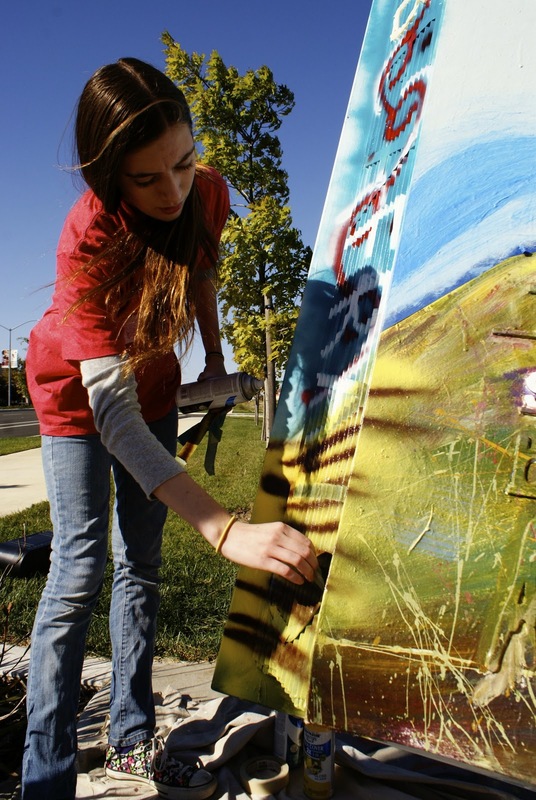 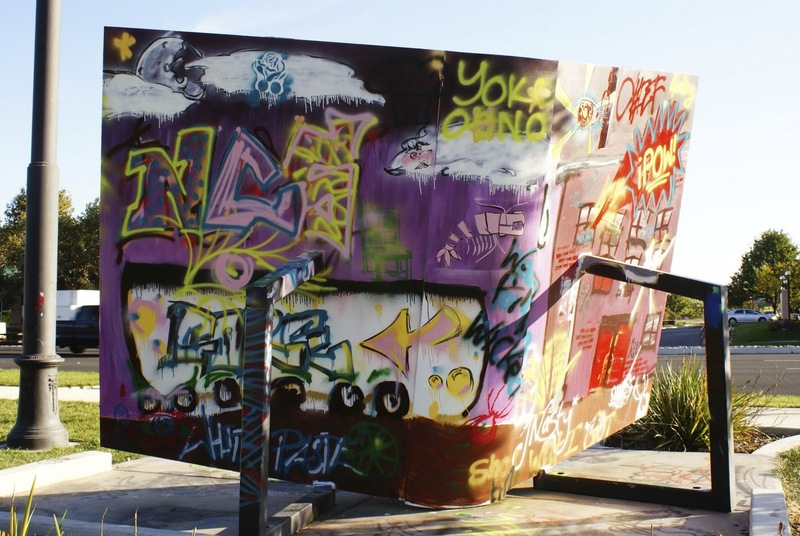 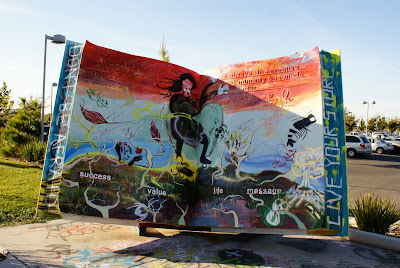 Students painted the sculpture, also known as the “Big Book,” on Oct. 26. 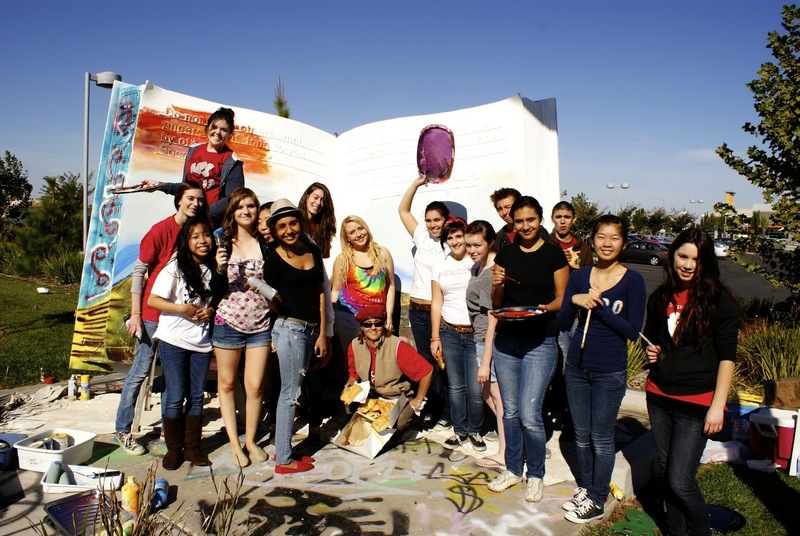 Teacher Carrie Markel led the group. 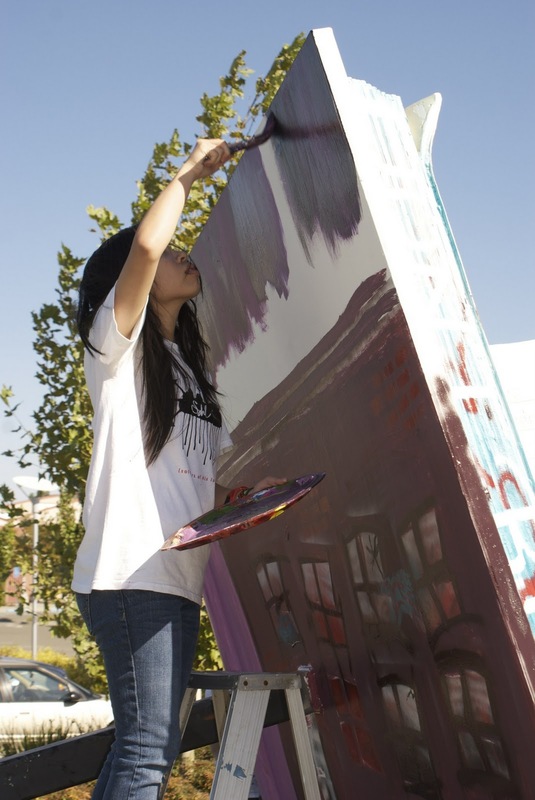 Each student designed a stencil which was incorporated into the “Don’t Be Afraid to Live Your Story” design painted on the book.